Abdulrahman presenting the award to Mubarak at the event. Bahrain-based Al Bilad Real Estate Investment Company, the master developer of the Water Garden City project, has topped the Facebook polls for the best stand award at the Gulf Property Show 2018, said the event organiser Hilal Conferences and Exhibitions (HCE). A boutique showcase for the real estate and property development sectors in the Northern Gulf region, Gulf Property Show 2018 was held from April 24 to 26 in conjunction with two other big events Gulf Construction Expo and Interiors Expo providing the biggest integrated business-to-business showcase for the construction, interiors and property sectors ever to be staged in the Northern Gulf. Al Bilad Real Estate Investment Company’s stand representation of Water Garden City, beat off strong competition from a shortlisted field of eight other developers, said the organisers. HCE's managing director Jubran Abdulrahman said: "The Best Stand Award provides recognition of the conceptualisation and implementation of exhibitors' stand designs that deliver on the company’s promoting brand recognition and sales strategy for their participation at the Gulf Property Show." Al Bilad “Water Garden City” stand was designed by Albilad marketing team and built by Pico. 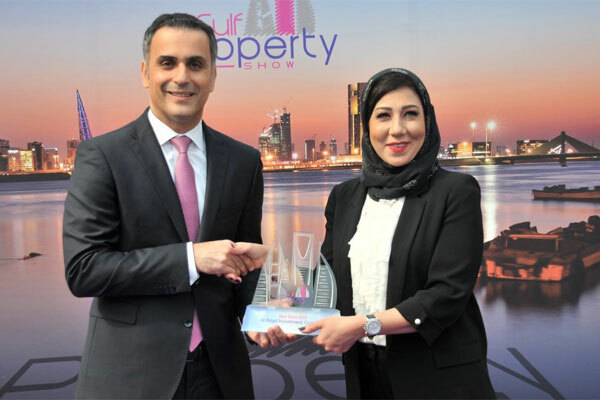 Commenting on the win, Lina Mubarak, the head of marketing and communications at Al Bilad Real Estate Investment Company, said: "We are delighted to have won this award and particularly proud to have been voted best stand at one of the most important property shows in Bahrain Gulf Property Show 2018." "This recognition confirms that we’ve been successful in presenting our ingenuity and creativity in showcasing our company’s branding identity and offerings. Thanks to Hilal Conferences and Exhibitions (HCE) for initiating this award and special thanks to all who voted," she stated.